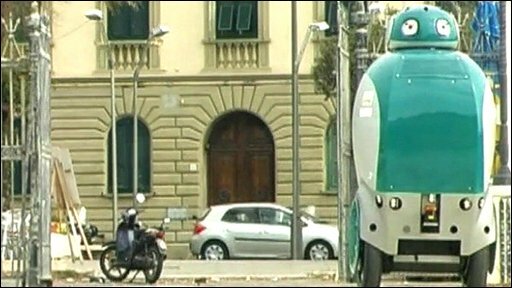 What is believed to be the world's first robot that comes to take away rubbish from your house when you want it to has been unveiled in Italy. A number of local authorities from around the world have already expressed an interest in it. Duncan Kennedy went for a look at the prototype in Tuscany, Italy.